Las Vegas has become so famous for its casinos and its nightlife that we often forget that there is a thriving city full of people who call this city home. There are businessmen and women, doctors, lawyers, and average Joe citizens who live in this city and have little or nothing to do with the casinos at all. There are entertainers and artists that live far beyond the world of the famous Strip that Vegas more often than not brings to mind. 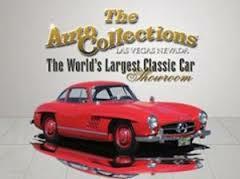 Vegas is a city that has a cultural center, a religious community, families, and family activities. It is a city in the desert that sees more than its share of sunshine while being particularly vulnerable to rain. It's a city that is famous for it's neon brightness while there are corners of this city that are far removed from that world that is almost as foreign to its citizens as it is to its visitors. Don't overlook the cultural treasure trove that can be found in Vegas by limiting your experience to the Vegas Strip and the offerings of the many casinos. So there is much more to this wonderful city to see and do and enjoy. If you are looking for some great ideas to enjoy during your stay, perhaps you will find some here or at least find inspiration for your own ideas. One thing to remember about Vegas is that you are in the desert and it is sunny most of year. Even if it isn't necessarily warm outside it's a good idea to avoid being outdoors whenever possible or to be sure you are liberally applying sunscreen and using other means to protect your skin from the ravages of a desert sun. Orleans Bowling Center - Seventy bowling lanes, open 24 hours. Performing Arts Center - The Performing Art Center at the University of Nevada Las Vegas, includes Artemus W. Ham Concert Hall, Judy Bayley Theatre, and Black Box Theater. Pole Position Raceway - Pole Position Raceway is the premier indoor motorsports entertainment facility in Las Vegas. Pole Position features a 1/4 mile European style track, state-of-the-art electric race karts, four private meeting and events rooms and is located one mile west of the Las Vegas Strip. 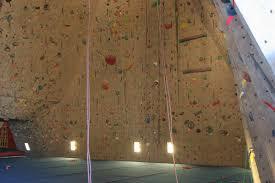 Red Rock Climbing Center - The Red Rock Climbing Center offers both top-rope and lead climbing on over 8,000 square feet of climbing walls designed by Tony Yaniro and Doug Englekirk, two of the world's top climbers. Red Rock Lanes Bowling Center- 77,000 sq. ft. Entertainment Center at Red Rock Casino Resort Spa featuring 72 Brunswick Pro Anvil lanes, 42' Plasma Televisions between each pair of lanes. We offer a spacious concourse and settee area, lightweight bowling balls, and handicap bowling ramps. Sam’s Town Hotel Gambling Hall & Bowling Center - Sam’s Town Hotel Gambling Hall and Bowling Center is a great place to unwind after a long day of sightseeing. There are 56 bowling lanes and the center is open 24 hours. Santa Fe Bowling Center - Looking for a great bowling alley? This is it. Santa Fe Bowling Center has 60 lanes and is open from 7 a.m. to 12 a.m.
Shark Reef – Mandalay Bay - The Shark Reef transports visitors to an undersea ocean of sights, sounds and encounters. The Shark Reef contains more than 2,000 animals representing 100 different species in 1.6 million gallons of water. South Point Bowling Center - Bowling at the South Point 64 lane Bowling Center is state of the art, offering a main center aisle with 32 lanes of bowling on each side. Tables are equipped with touch screens so everyone can keep track of the game. A bar adjacent to the lanes allows a guest to enjoy a cold beverage without missing any of the action. There is also a full-service pro-shop, snack bar, locker rooms and an arcade. From the novice to the pro, everyone can enjoy the fun and excitement the South Point Bowling Center has to offer. Springs Preserve - Only three miles from the Strip but worlds away, the Springs Preserve is an indoor/outdoor non-gaming attraction that entertains visitors of all ages in any kind of weather. Two indoor air-conditioned galleries contain over 300 interactive exhibits that tell the story of Las Vegas past, present and future and introduce a menagerie of the live bats, foxes, snakes, spiders and lizards that call the desert home. Stratosphere Tower Thrill Rides - All rides are at the top of the Stratosphere Tower, over 900 feet high. The three extreme thrill rides are the Big Shot, the X Scream, and Insanity.. The X Scream, "is an eight seat ride that dramatically thrusts its open roller coaster car along a 69-foot ramp at 30 miles per hour until suddenly stopping 29 feet over the edge of the tower and 866 feet from the ground below. Strike Zone at Sunset Station - Strike Zone at Sunset Station has 72 bowling lanes, is open 24 hours, and hosts parties, corporate outings and has a team member building. Suncoast Bowling Center - The Suncoast has a 64 lane Bowling Center is a state-of-the-art Brunswick facility, providing a great game for all bowlers from the novice to the professional. The Linq is the auto enthusiast's dream. Featuring 250 classic cars that span more than a century, every single one is available for purchase--from a mere $20,000 to pricey $3 million. antique neon sign collection. The second floor of Neonopolis now houses an art center. This list is a short list of only indoor activities; you can find a much larger list of things to enjoy if you consider the many things that can be experienced outside under the desert sun. There are other attractions that will also keep you indoors as well. There are actually quite a few museums in Las Vegas; there is M&Ms World, The Lion Habitat at MGM and the White Tiger Habitat at the Mirage. There's also the canal at the Venetian, which is also home to "Streetmosphere," where live actors delight and entertain you with songs and other revelry. You will find many rides and adventure parks indoors in Las Vegas as well. People find that the desert heat can be a real joy killer for a day out in the sun and indoor adventure parks fair much better while delivering entertainment that is far superior to many of its outdoor counterparts. If you're looking for a great way to spend a day indoors, there's no shortage of wonderful things to do and see in Vegas so there's really no excuse. In addition to all the things I've mentioned above, Vegas is home to some of the most splendid shopping in America so be sure to pack your two best friends Visa and Master Card and bring them along for the ride. Also keep in mind that there is plenty to do in the great big world outside these walls and consider the great fun you can have exploring the desert climate of Nevada. 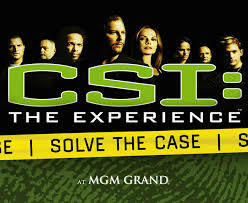 CSI: The Experience - Test your inner crime-solver at the blockbuster new show at MGM Grand, CSI: The Experience! Survey the crime scene, gather the evidence and solve the case! This dynamic interactive experience offers visitors a hands-on challenge to solve a hypothetical crime: 3 murders, 15 lab stations, 15 suspects, 3 killers. CSN Planetarium & Observatory - CSN Planetarium & Observatory have educational and entertaining programs year-round. Sky Zone Sports - A sports, fitness and entertainment center that is home to The World's First All-Trampoline-Walled Playing Field with suspended rotating goals. SkyMania offers the first truly 3-Dimensional sports games and activities where players are moving on the ground, zooming 10-15 feet in the air, and running on sidewalls all at the same time. The Aquarium - The 117,000-gallon saltwater aquarium is home to the free interactive fish feeding shows. During each show, one of the Silverton's staff marine biologists dives into the aquarium, equipped with a full-face communication mask that allows him/her to interact with guests while feeding the animals, which include 4,200 tropical fish, stingrays, eels and sharks. Vegas Indoor Skydiving - At Vegas Indoor Skydiving, America's first vertical wind tunnel, you can break the bonds of gravity and body fly. Vegas Indoor Skydiving gives you the chance to test your skills of human flight during a single flight session or as a participant in a personalized coaching program. Arts Factory - If you are an artist at heart, you won’t want to miss out on the Arts Factory in the 18b arts district in downtown Las Vegas. The location boasts are photographers, painters, graphic designers and more. There are galleries to browse through and a First Friday showcase each month. Be sure to stop by the award-wining Paymon’s Mediterranean Café and try some affordable, healthy food. Circus Acts - Circus Circus Hotel has amazing acrobat, trapeze, juggling and balancing shows that are sure to entertain. South Point Arena & Equestrian Center - The new state-of-the-art South Point Equestrian Center presents various events monthly free to the public. Fast Lap Indoor Kart Racing - Catch the thrill of Wheel to Wheel Racing, 40mph, 13 adults compete, timed and recorded. Gameworks Las Vegas - Gameworks Las Vegas is an interactive video gaming area. Gold Coast Bowling Center - Seventy bowling lanes, open 24 hours. Hand of Faith - At 61-pounds, The Hand of Faith is the biggest golden nugget in existence, the second-biggest ever discovered, and the biggest ever found with a metal detector. This amazing nugget was found by an amateur hunter about a foot underground in Australia. You don’t want to miss this! Las Vegas Little Theatre - Las Vegas Little Theatre is an amateur theatre company founded in 1978 by Jack Bell and Jack Nicholson. Over the years many critically acclaimed and award-winning plays have been presented, such as Master Harold...and the Boys, Purple Hearts, and The Woolgatherer, Master Class, A Streetcar Named Desire, among others. 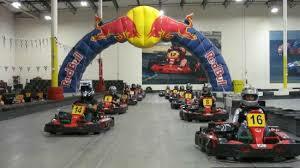 Las Vegas mini Gran Prix go karting Extravaganza- Las Vegas Mini Grand Prix has four exciting go-kart tracks; amusement rides; 7,000 square foot restaurant/party room, arcade. Open year round.